IDEA StatiCa | Connection Wednesdays: This week! UK office of IDEA StatiCa s.r.o. 17 Sep Connection Wednesdays: This week! We would like to remind you that there will be a new Connection Wednesday webinar this week. 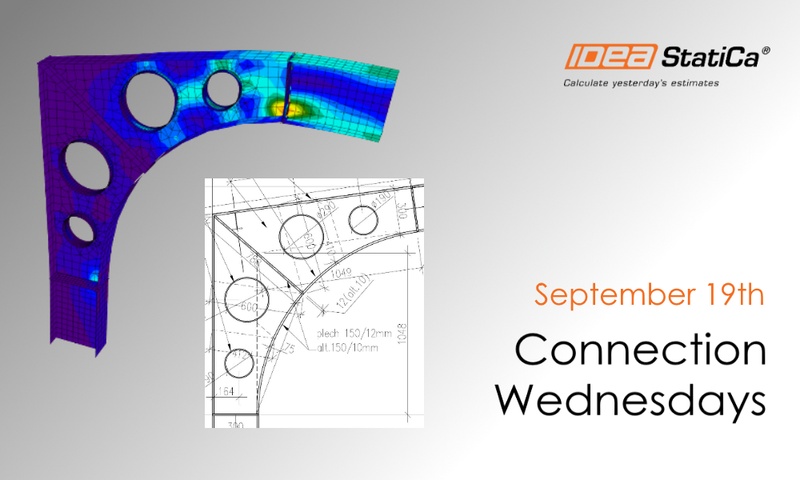 The webinar will take place this Wednesday, September 19th in two sessions during the day. HelpDesk highlight: Explanation of the results (Lost in results explanation and options? We will discuss the possibilities and tricks in results browsing.